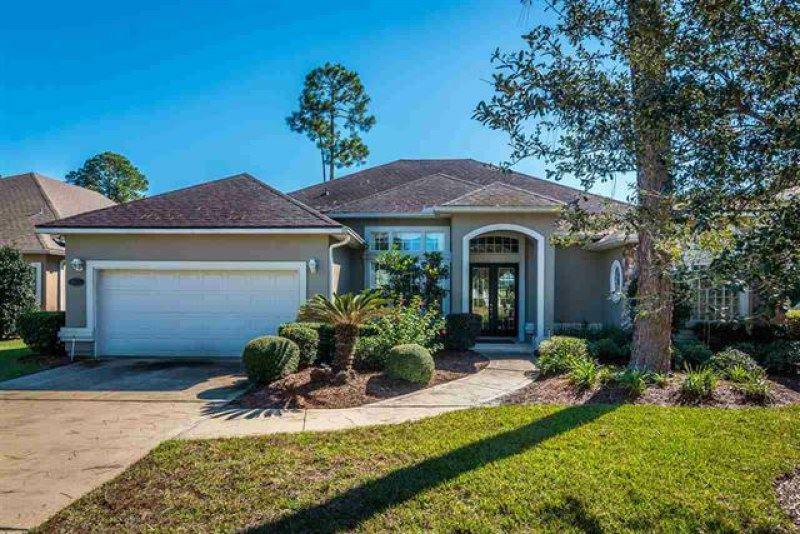 Amazing pool home with golf course and lake views in Royal St Augustine! Former ICI Homes model home features 4 bedrooms/ 3 bath and over 2500 sq ft. of well distributed living space. 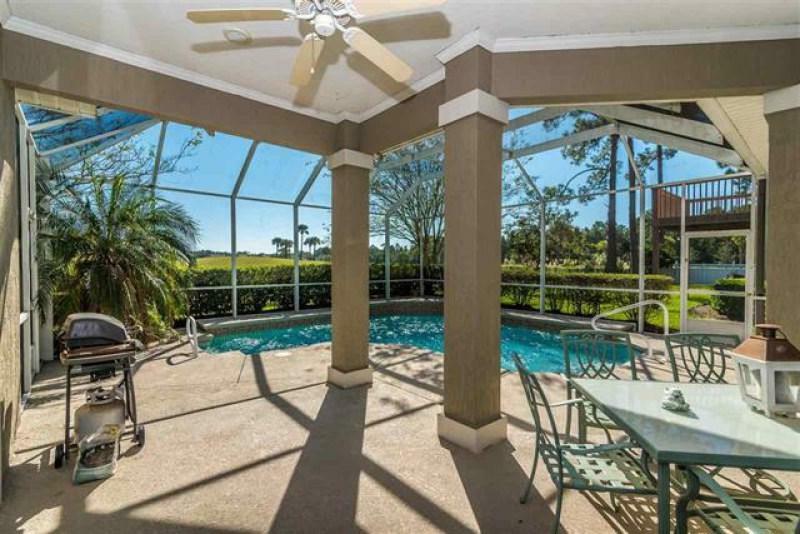 Open floor split floor plan with beautiful screened in pool and golf views from almost every room. Split plan with approximately over 2200 sq ft. on first level plus upstairs bonus bedroom and full bath. Beautiful pool views from master suite. Master bath with a separate garden tub, double vanity with make-up station, large wal in closet and glass block window. Features include: Formal living room, dining room, family room with gas fireplace and built in's, triple slider door to the pool, vaulted ceilings and dramatic windows to enjoy the views. Nice open kitchen with island, corian countertops, tumble stone backsplash, spacious pantry closet, kitchen nook with views and 42 inch cabinets with crown molding, custom drapery and crown molding throughout, indoor laundry with sink, lots of storage space, and security system. On the exterior, there is a large 30 ft. covered lanai that overlooks the inviting screened in pool. 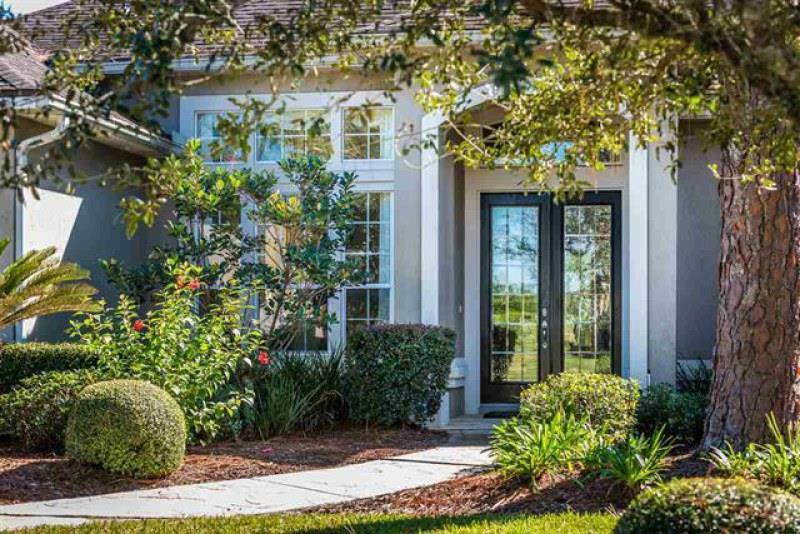 Conveniently located, minutes to shopping and a Publix supermarket, 5 minutes to I-95 access, and less than 10 minutes to Vilano Beach & Historic St Augustine. LOW HOA / NO CDD FEES!